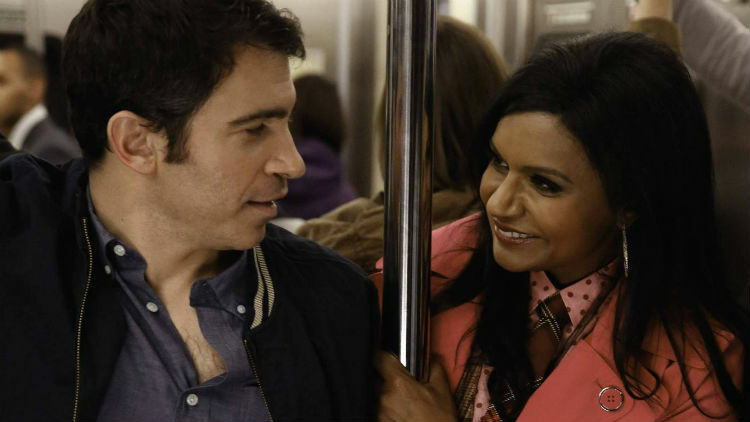 I’m a sucker for a good romantic comedy, and the best romantic comedy I’ve seen in years was this glorious season finale of The Mindy Project. Mindy Kaling’s writing has never been sharper, funnier, and more emotionally evocative than it was in this half-hour tribute to a genre she holds close to her heart. Every rom-com reference was perfect, but this episode was about so much more than just referencing a genre’s classics; it was about creating a new classic. From the heartbreaking bathroom confrontation between Mindy and Danny to their perfect concluding kiss, this was an episode filled with both the strongest acting and writing this show has ever seen. And I dare anyone who loves romantic comedies to say they didn’t smile during this episode’s Springsteen-backed climactic race to the top of the Empire State Building. The Good Wife is becoming known for its ability to reinvent itself, and what’s most impressive about that is the different tones with which its reinventions announce themselves. Last year’s “Hitting the Fan” was a game-changer defined by bursts of anger, while “The Last Call” was another sharp turn for the show defined by quiet grief. There was nothing flashy about this episode; it was driven by emotional honesty and realism rather than melodrama. Every talented member of this show’s ensemble was given a moment to shine in this episode, and each moment of grief beautifully reflected each character—from David Lee’s private tears to Alicia and Diane’s heartbreaking hug. “The Last Call” was about sudden, senseless death—the ways we deal with it, the helplessness and confusion it leaves in its wake, and the support systems we lean on when it happens. It was one of the most moving episodes of television I’ve ever seen, and it had the best acting of any hour of television that aired this year. Friendship is very important to me. It’s one of the driving forces in my life, and my best friends will have been there—positively influencing my life—long before any romantic partner someday finds their way into my heart. For a long time, I felt like this strong belief in the power of friendship (especially female friendship) was one I’d never see reflected on television. But then “Ann and Chris” happened, and an entire half-hour of TV was dedicated to honoring the importance of having a supportive best friend. The episode itself had plenty of moments of laughter, but it was the emotional beats that focused on pairs of friends—Ann and April, Ben and Chris, Leslie and Ann—that gave this episode its soul. “Ann and Chris” represented the way Parks and Rec is so utterly fearless when it comes to wearing its heart on its sleeve, and the fact that this episode’s heart was so firmly focused on friendship made it unlike anything else on TV this year—in the best possible way. Male clones! Yes, this episode ended with one heck of a cliffhanger, but that’s not why I loved it as much as I did. I loved it because it was an episode driven by the show’s best characters, featuring some truly incredible moments of growth for many of the clones. From her brutally invasive questioning to the warm moment of sisterly affection between her and Cosima, I’ve never felt more emotionally connected to Sarah. And the entire sequence from Cosima and Alison meeting Helena through the big dance party was pure perfection. In fact, this episode would have made this list if its only scene was Kira and Helena reuniting. The pure emotion in that one moment was worth more than any big plot twist. This two-hour season finale was billed as epic wish fulfillment, and it delivered on that promise. This mini movie was a fairytale adventure for Emma, featuring time travel, ball gowns, and romantic waltzes. It was also a way for the show to revisit one of its most beloved episodes, “Snow Falls,” in a very creative manner. More than the pure fairytale fun of it all, this two-part episode was a watershed moment in Emma’s character development. In so many ways, this was an episode about coming home, and it delivered a beautiful message about home being a place where you feel safe to open your heart to people who truly love you. Parents were hugged, pirates were kissed, and a lost girl finally began to believe she could have a real home. This episode made me laugh, swoon, and cry—a trifecta that Once Upon a Time achieves when it’s at its very best. Every show that I’ve grown to love has an episode where I go all in, and “The Bet” was that episode for Brooklyn Nine-Nine. It was hilarious (Captain Holt getting Terry in deeper and deeper trouble with his wife, Boyle’s truth bombs, Sergeant Peanut Butter, etc.). But where it really excelled was in making me feel emotionally invested in these characters and their relationships with one another. “The Bet” made me fall in love with both Jake and Amy, and I was so surprised by how well Andy Samberg balanced the episode’s more ridiculous moments (the Titanic steerage jig) and its sincere ones. (The entire sequence of Jake and Amy on the roof was subtle and sweet—two things I wasn’t expecting to see so early on from this show.) This was one of my most-rewatched episodes of 2014, and it’s a great reflection of Brooklyn Nine-Nine’s stellar first season. If you’re going to die, make sure they remember you. That’s the theme of Oberyn Martell’s death scene, a moment fans of the A Song of Ice and Fire book series have been waiting years to see. And it didn’t disappoint. It featured the best fight choreography on the show to date, one heck of a final performance from the brilliant Pedro Pascal, and an image no one will be able to forget no matter how much they might want to. Could Oberyn’s big moment have been a little longer? Yes, but there were so many other good things happening in this episode, too—namely, everything with Sansa. From her tearful confession to her descent down the staircase in one of the show’s most magnificent and symbolic costumes, this was the episode where the little bird’s transformation into a serious power player really began, and it hinted at great things to come for one of the most underrated characters in the series. Sometimes all you need is a trip into an alternate universe to help you realize what’s important. What could have been a cheesy plot instead became an emotional exploration of the ways love helps us—and those around us—be our best selves. Strong performances from Stana Katic and Nathan Fillion anchored this episode’s trip into the land of “What if?” in very real, honest emotions. And, of course, no mention of this episode should occur without talking about the wedding. “The Time of Our Lives” was the episode that finally saw Castle and Beckett tie the knot in a beautifully intimate ceremony. From the first words of their vows to their first dance as husband and wife, it was a moment I’ll cherish as a fan—always. You know an episode of Scandal is good when it makes me feel sympathetically towards Fitz, and that’s exactly what this season finale did. The entire episode was breathlessly paced and featured just enough twists to keep my head spinning while still allowing me to keep track of it all. But it was in the rare quiet moments where this episode found its real strength. The moment Mellie told Fitz she fought his father as he raped her was one of the show’s most quietly powerful scenes. And the image of Fitz on his knees in the Oval Office, brought down by the price of becoming and staying president, is one that will haunt me for a long time. It was a perfect moment of visual symbolism, and it was one of the most unforgettable single shots on television this year. This entry was posted in Television and tagged best of 2014, television, year in review by Katie. Bookmark the permalink. This is a great list! I had forgotten how much I loved the finale of Orphan Black until I read this list. It was Tatiana Maslany at her best. The interrogation scene was chilling and anger-inducing, the dance scene was wonderful and happy, Helena meeting her sisters was perfect as was Sarah and Cosima’s talk on the bed and Helena reuniting with Kira. I love that there were so many good episodes of Brooklyn Nine-Nine this year. The Bet is a great choice for the show and you’re totally right about the roof scene. I was trying to think of which episode of Doctor Who stood out the most, and I’ve come up with the first episode Deep Breath, and the sixth episode The Caretaker. And after the general blah of series seven I cannot tell you how delightful it is to have two that I adored in a rather strong series. Deep Breath was good because it felt like a reboot, or a reset, without losing much of the previous developments. The Doctor regenerated into a grumpy old man just like he always used to be in the Classic show. He isn’t flirting with his companion anymore, a fact which many fans are relieved to see, and he seems to be refocused on his mission of finding problems and helping when he can. Though the show still relies a bit too much on special effects in favor of story, this episode had some very good quieter moments as both the Doctor and Clara had to come to grips with this new regeneration. Plus the addition of some much beloved background characters from the previous two series was just brilliant. The Caretaker receives my second spot because it manages to be an episode centered around a companion that didn’t exclude the Doctor awkwardly. This episode also shows why I love THIS series Clara SO MUCH MORE than I had previously. Before, Clara had faced the same issues most other females written by Moffat faced: their lived revolved around the Doctor. But Clara finally began to sass the Doctor back. To not take his nonsense and try to live her own life. Now, how successful she was…ehhhhh….but thats for another time. But beyond the general Danny-ness of the episode, I just found this to be a fun romp, while also showing how important honesty and communication are in any relationship. Funny, now that I think of it, that was kinda a theme for this series. I am going to try not to repeat myself AGAIN for like the fifth time today, so I’ll just say that I’m excited to get to these awesome episodes in the shows that I am trying to catch up with, and I think you chose some great episodes for your list! The Time of Our Lives is definitely one of my favorites of this year, for all of the reasons you explained here. Other favorites for me are Castle’s Veritas, and Once Upon a Time in the West, Sherlock BBC’s The Sign of Three, NCIS’s Grounded, and How to Get Away With Murder’s Pilot (and maybe it’s midseason finale, Kill Me, Kill Me, Kill Me). And now you’ve made me think that I should try to keep better track of my reactions to episodes for next year, because I always end up forgetting which episodes were truly my favorites once we get to the end of the year lol. I’m so happy you included both Veritas and Once Upon a Time in the West for Castle because those were two excellent episodes and probably my next two favorite Castle episodes of 2014. As far as keeping track of favorite episodes, it’s so hard! That’s part of the reason I do my Best Thing on TV This Week posts, so I can look back on all of them at the end of the year and use them to help me remember which episodes I liked the best. I also spend a lot of time on Wikipedia episode guides trying to remember which scenes that I loved were in which episodes because I do a much better job remembering moments instead of whole episodes. I need to rewatch those Parks & Rec and Brooklyn Nine-Nine episodes! And Danny & Mindy and Snow Drifts/There’s No Place Like Home were both amazing. I can’t really imagine more triumphant episodes, each exemplifying what these shows are all about. I haven’t watched any of your other shows (yet). The Bet was when I knew I was in for the long haul on Brooklyn Nine Nine. It is a great little show that never ceases to amaze me with its wonderful charm. I again continue my march of love for Jane the Virgin, and for this I would argue Chapter 2 has been it’s best outing. As good as the pilot was, Milkshake was when the show became more than a cute concept with a great lead in Gina Rodriguez. The show quickly found footing, emotional depth and established this family of women as something truly special on television over the course of this 42 minute outing. I also have to shout out Star Wars Rebels, Droids in Distress. It’s a great tribute to all the things that I love about Star Wars re imagined in the space between episode 3 and the original trilogy release. It has a nice continuity nod with a real carve out of new characters that feel very Firefly in nature. A great surprise and vastly superior to anything the three prequels did combined. Having watched the terrific season finale last night. This show is a MUST for Star Wars fans. I love that The Bet was the “all in” moment for both of us with Brooklyn Nine-Nine. And now I have to add Star Wars Rebels to my must-watch list!